In this scenario our business requirement is that when a user creates a new Opportunity in the CRM system a default Price List is automatically set when the Opportunity is created. We create a server-side only formula that fires for just when a Opportunity gets created. 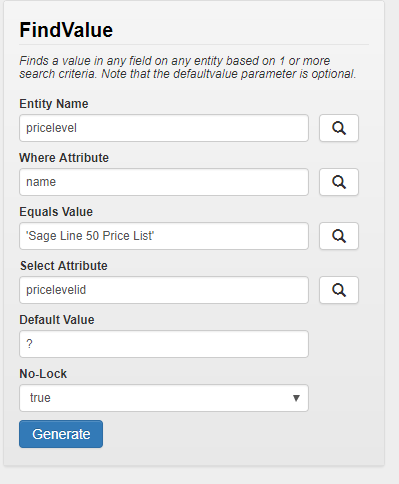 Note : One big advantage of using the FindValue() function to lookup up the guid of the Price List is that when you deploy the formula to your Test, UAT, Production, etc. environments you don't need to do any additional steps. As even though the underlying guid will change from system to system the formula will just lookup the guid at runtime. 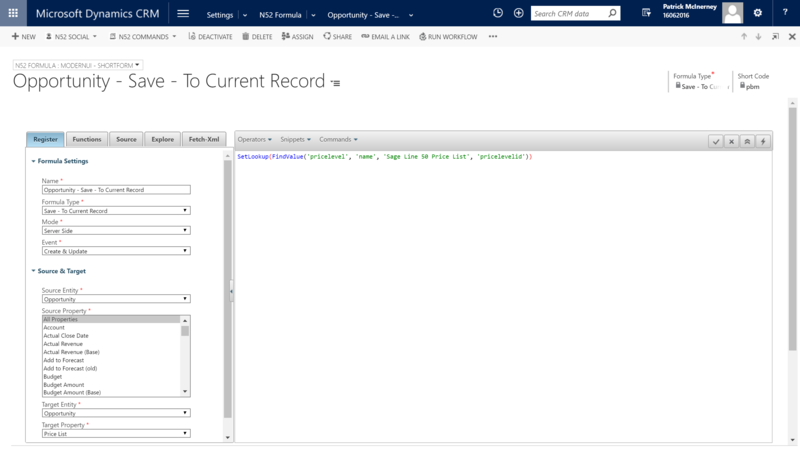 The following set of steps assumes you are just using the out of the box Dynamics CRM setup.